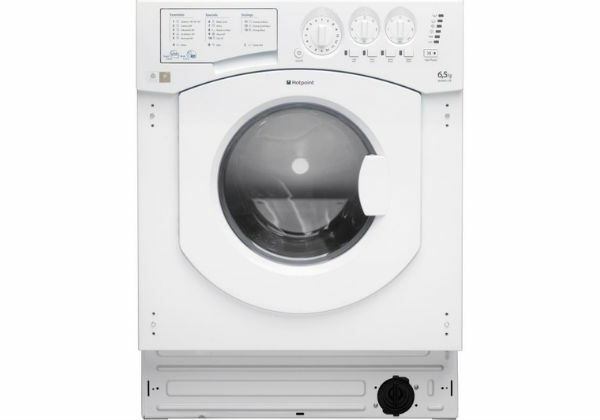 The Hotpoint BHWD129 Built In Washer / Dryer provides 16 programmes, intelligent sensor technologies, and energy-saving features. 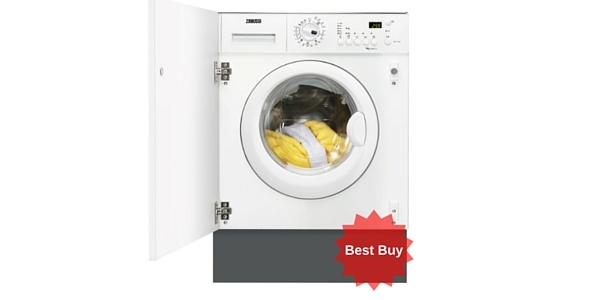 It's easy to use and quiet, for a high-quality wash & dry. 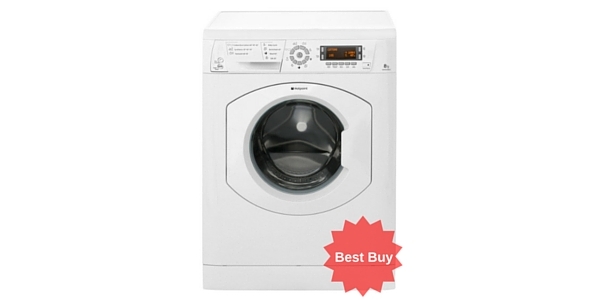 A good range of programmes is an important feature for many people when buying a new washing machine, and this Hotpoint BHWD129 has proven popular in this respect, with 16 programmes available. 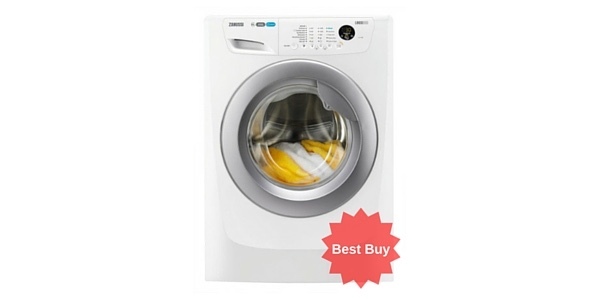 This includes Anti Crease, Cotton, Easy Iron, Intensive, Sports (for stubborn muddy stains), Economy (an environmentally-friendly clean), and Silk Wash, to name just a few – more than enough for the average household. One particularly useful addition for families is the Baby programme, designed to remove tough stains (like baby food and bodily waste); this cycle can also rinse clothing for longer, to remove detergent that may irritate sensitive skin. Wool, Delicate, and Lingerie programmes are also included, and are perfect for keeping smaller, less robust items in top condition. 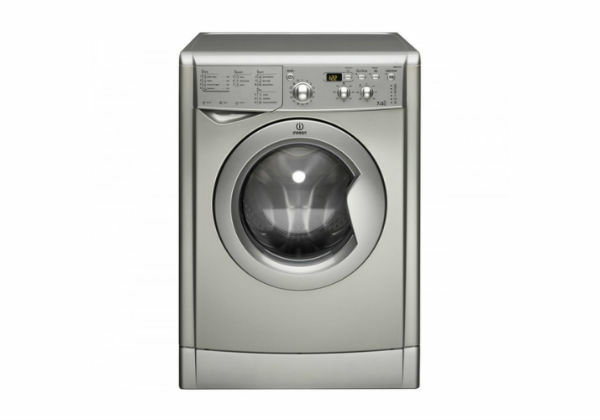 The Hotpoint BHWD129 Washer / Dryer also offers a Refresh Option – this is a short cycle that uses steam cleaning on clothes to freshen & revitalise them. Shirt Cycle is designed to use care on shorts, using the best temperature and spin, ensuring white shirts retain their colour – ideal for people who need crisp, clean shirts for the office or school every day. 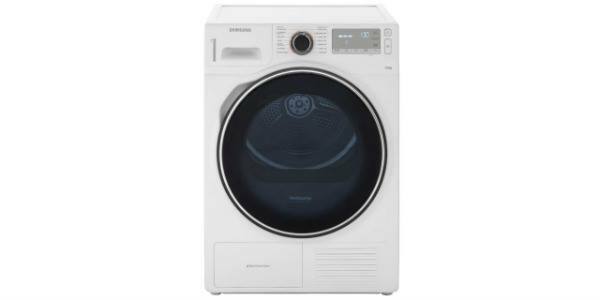 This appliance offers 3 drying programmes to suit different requirements and fabrics, as well as Reverse Action, which helps to loosen clothes towards the end of the cycle, reducing creases and the need to iron. 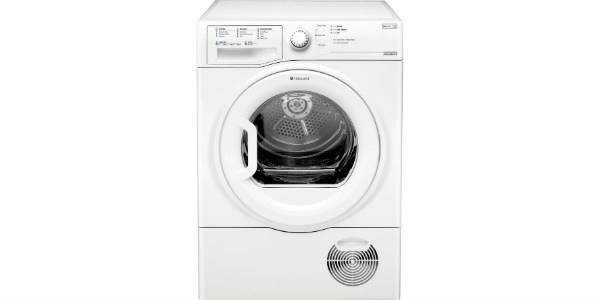 The machine’s sensor drying detects when clothes are dry, and switches to a cool tumble – this saves energy and prevents garments from becoming overly dry. Click here to read over 500 reviews of this model at Hughes.co.uk – at the time of writing they are offering the best price on this model. 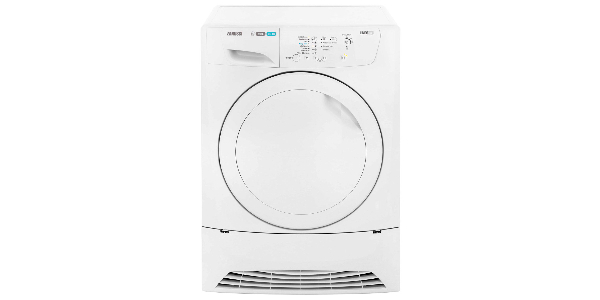 The Hotpoint BHWD129 also features a super rinse, which removes as much detergent as it possibly can, for those with sensitive skin or allergies; this is extra-helpful for clothes which are heavily soiled. 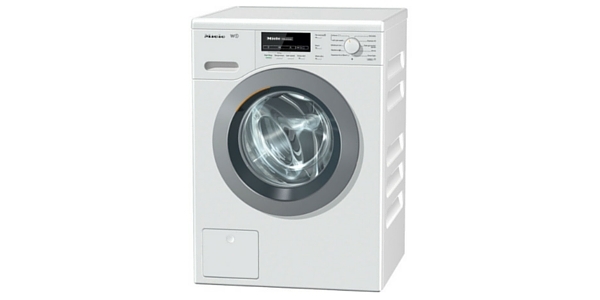 With enough capacity for 6 kg of clothes for a wash (equal to 30 adult T-shirts), and 5 kg for drying, this is a little bit smaller than some competing models, but should provide enough space for regular use in the average household. 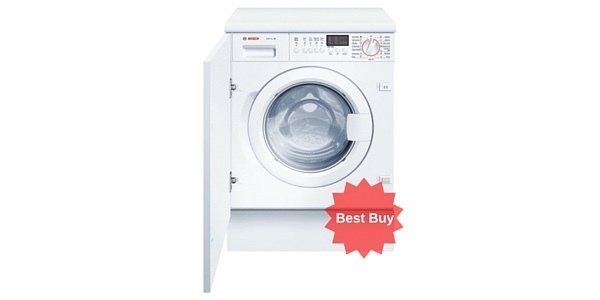 This appliance has an energy rating of ‘B’, which is lower than a variety of competing models, but still sits at the higher end of the scale (‘G’ is the lowest). 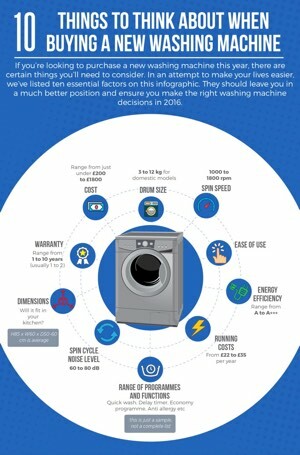 If having the most energy-efficient washer / dryer is important to you and your household, you may find this doesn’t quite provide everything you need. 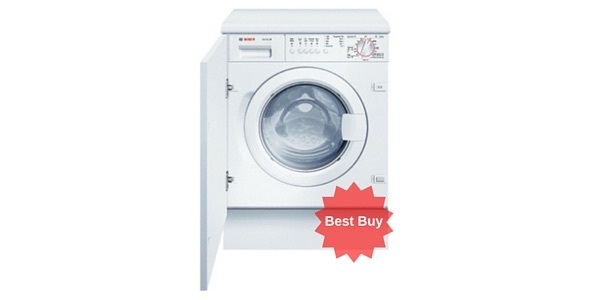 Most buyers have found this easy to use, with a clear LED display and simple controls. 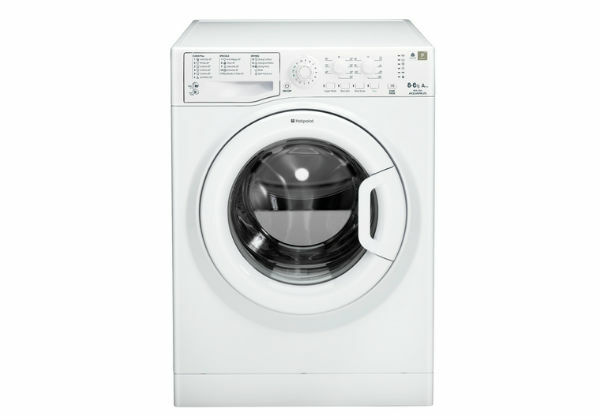 This is an attractive, quiet machine with a solid range of programmes and settings to suit the majority of needs.